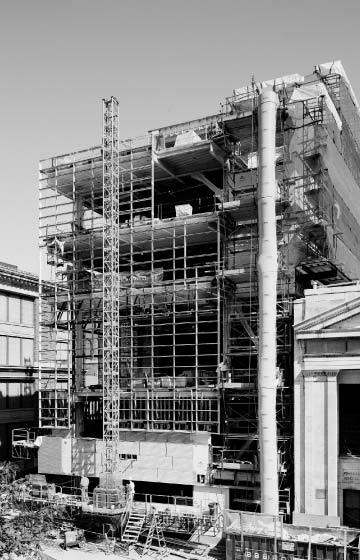 Chase Center, an association with Rafael Moneo Arquitectos, presents a dramatic façade to downtown Providence, becoming a “front door” for the school and orienting visitors and members of the RISD community to activities within the network of campus buildings. Program includes an auditorium, student exhibit space, a museum shop, café and an information center. 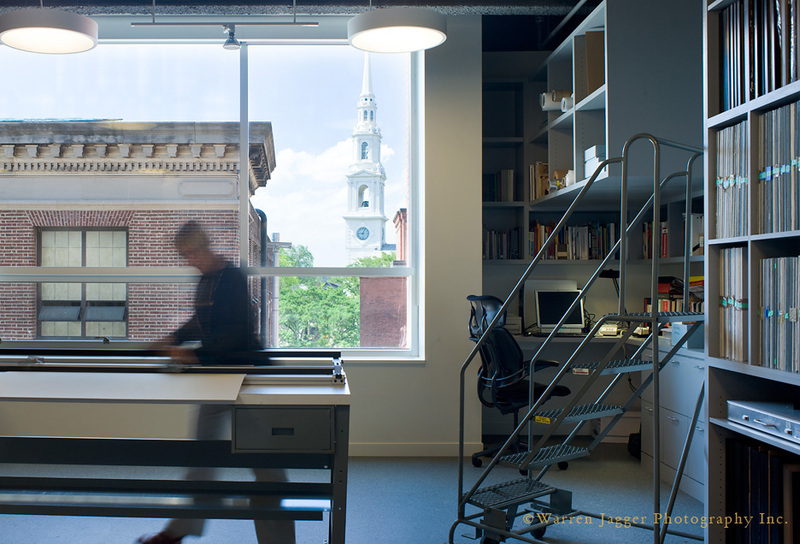 The renovated Memorial Hall, a former congregational church, now houses Painting Department studios and offices, and a multi-purpose meeting space for student functions, films, and events. 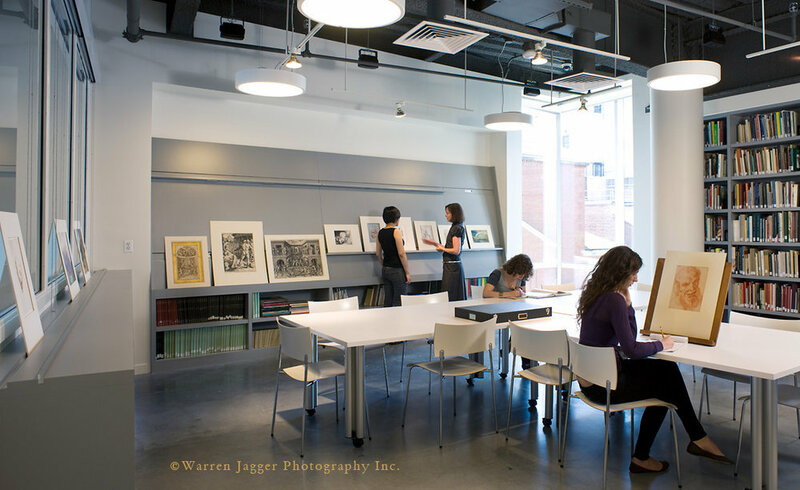 The dense urban fabric of the RISD campus allows a solution that is fundamentally sustainable: reusing two existing structures and strategically adding a third rather than razing the site and starting anew. 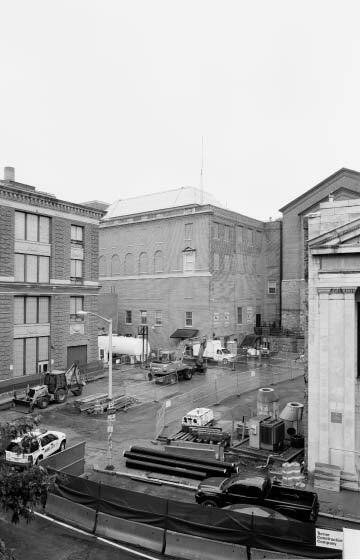 The Chase Center joins the existing Radeke Museum and Memorial Hall in an intimate, carefully connected grouping. It uses diffuse natural light, local materials and efficient systems to improve its energy performance. This project is LEED Silver.